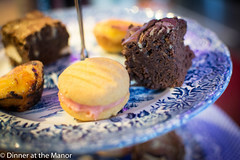 Back at the beginning of the month we hosted our first Afternoon Tea in a very long while and we were very much looking forward to rolling our sleeves up and baking. 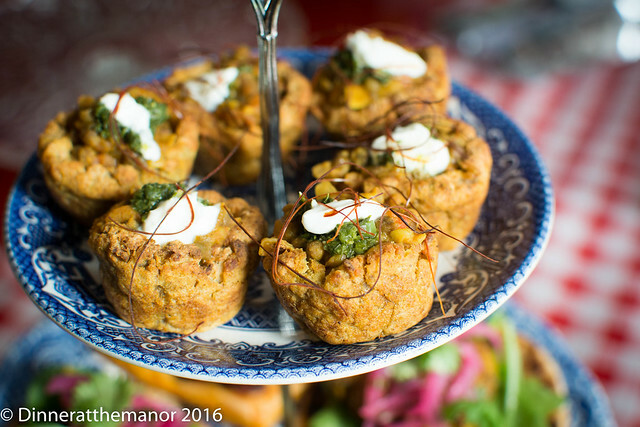 As usual we had a Manor theme to the afternoon’s proceedings, and this time we used Chetna Makan’s Cardamon Trail as inspiration, giving everything an Indian twist. Our guests arrived to our usual welcome cocktail, this time a spicy, sour, ginger punch – whilst they settled down, got to know each other and awaited their savouries. 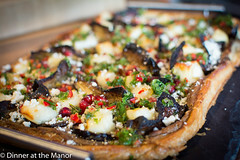 The savouries were a delightful mix of fragrant, spiced and hot dishes. 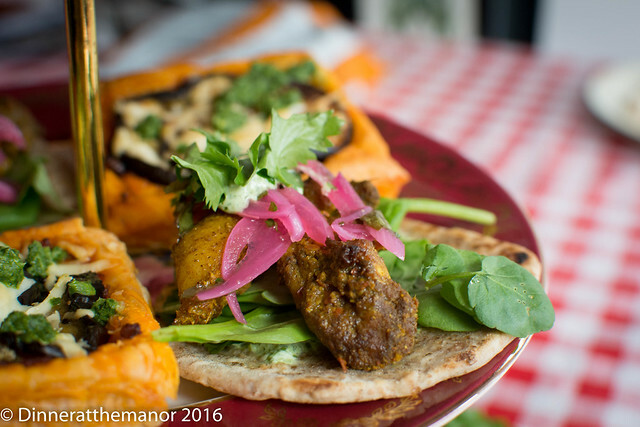 There were chilli chicken flatbreads – homemade mini chappatis topped with marinated chicken, spinach, pink picked onions and cooling mint yoghurt. alongside these were aubergine and onion tarts – puff pastry tarts of tomato, caramelised onion, roasted aubergine and fiery coriander chutney. 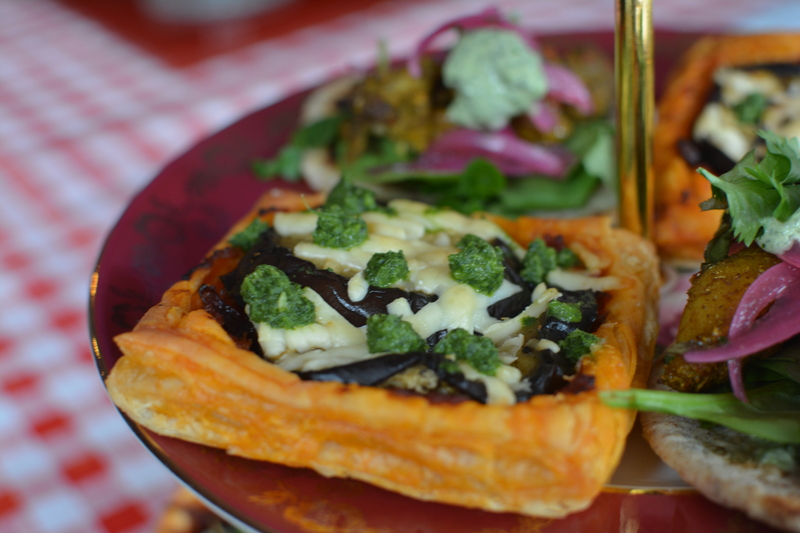 This fiery chutney also accompanied Dan’s magnificent paneer pie, which was a ton of paneer bound in a yummy masala sauce and wrapped in crispy puff pastry. The final savouries were little potato cups filled with a mung daal. This was a tiny morsel that packed a punch! 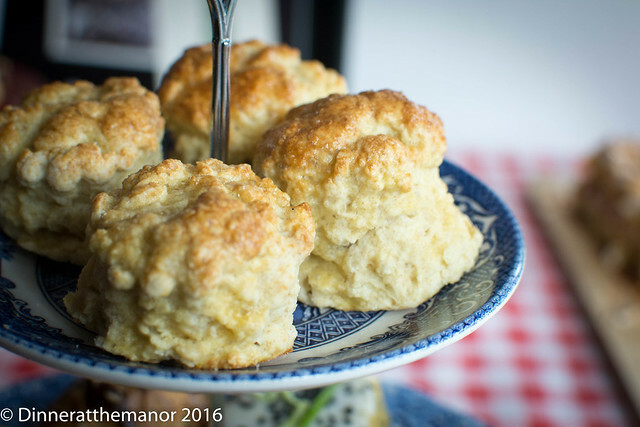 After a bit of respite we moved onto an array of delicious sweets, starting off with our classic buttermilk scones accompanied with cardamom clotted cream and homemade jumbleberry jam. Next up were some zesty black sesame and lime cakes, little sponges packed with lime and black sesame and then topped with a lime icing for an extra hit! 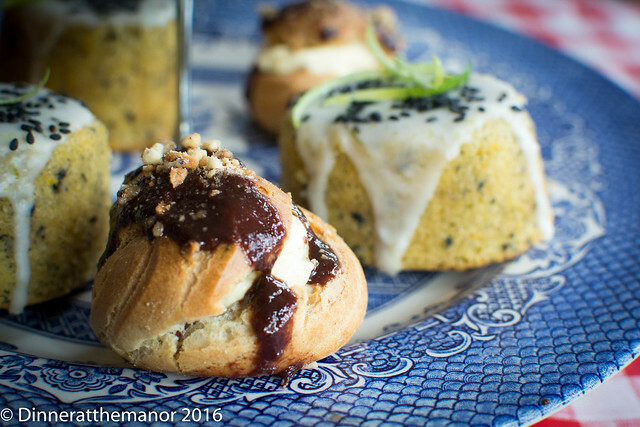 In contrast to this there were also some little choux buns filled with mango and praline and topped with a chocolate glaze – a different yet delicious combination. That wasn’t the end of the sweets – there were three more delectable delights! 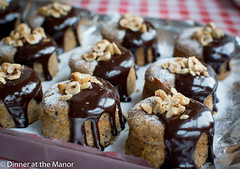 Dan made small versions of Chetna’s almond, rose and honey cakes. These are a bit like a friand but Dan spiced his with fennel, cinnamon and cardamom. Chetna fills hers with cream but Dan doused his in a light buttercream, for extra naughtiness. 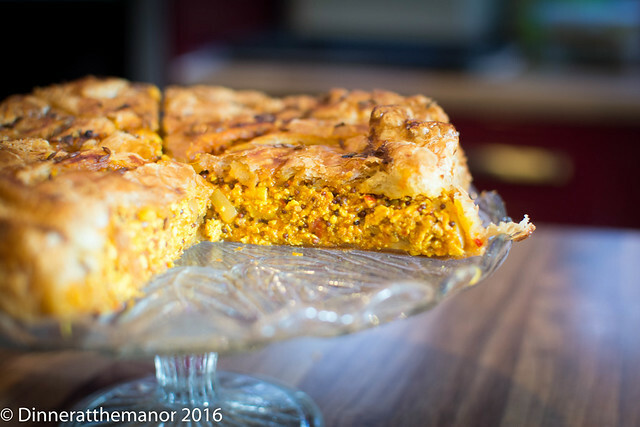 Also on offer was a saffron sponge full of crunchy almonds and fresh cream. 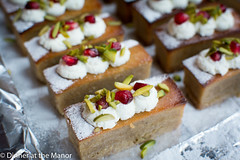 Saffron can be a challenging flavour for some people but it really worked in this very sweet and luxurious cake slice. 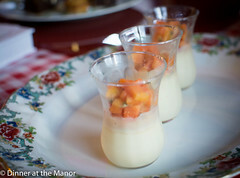 Finally little mango lassi possets were a great palate cleanser as well as a pretty addition to the table. This was a brilliant, fun afternoon with a lovely mix of old and new faces round the table. What with all of the lunches and evening events we’ve had recently it was great to get baking again. Next month comes our 5th birthday event! Gosh, where does time go? We’re looking forward to celebrating with great guests, Korean food and Mikkeller beer! 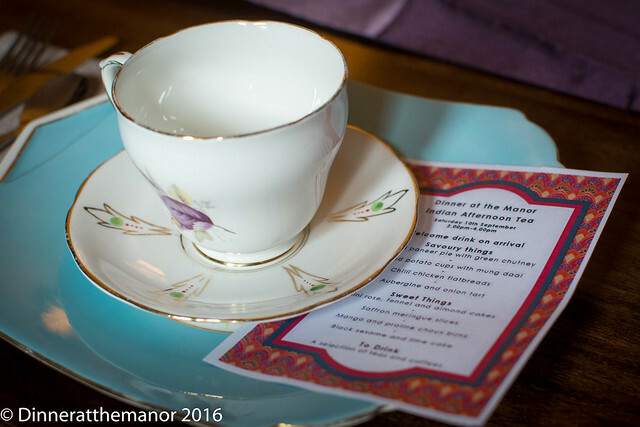 This entry was posted in Past Events and tagged 2016 Dates, Afternoon Tea, baking, Dinner at the Manor, Indian Food, Leeds, Supper Club, supperclub, Undeground Tearooms, Underground Dining, Yorkshire on September 22, 2016 by Susie Barker. 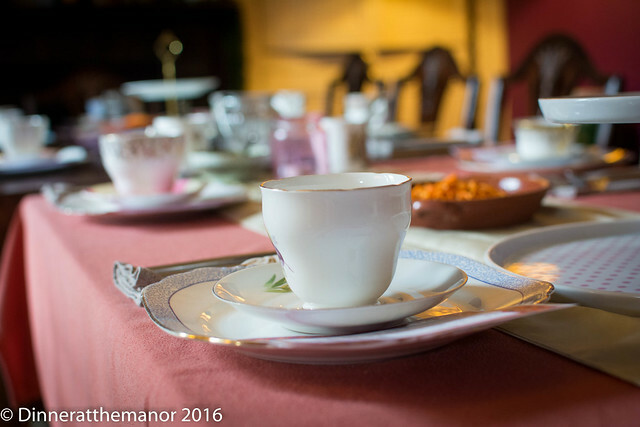 In just under a week we’ll once again be welcoming a lovely bunch of guests to the Manor. 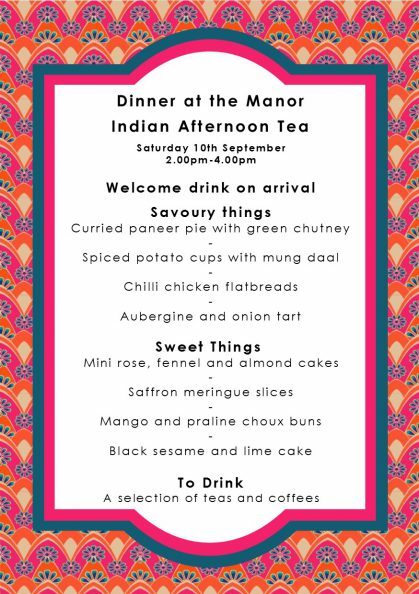 This month’s event is an Indian afternoon tea and we will be using the wonderful book The Cardamom Trail by Chetna Makan (GBBO contestant, apt given we’re in the middle of this year’s show). 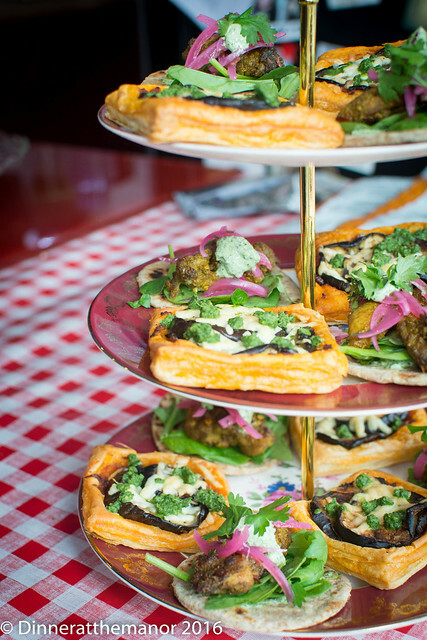 We’ll be serving up an array of baked delights, all with a spiced twist. Do let us know what you think. 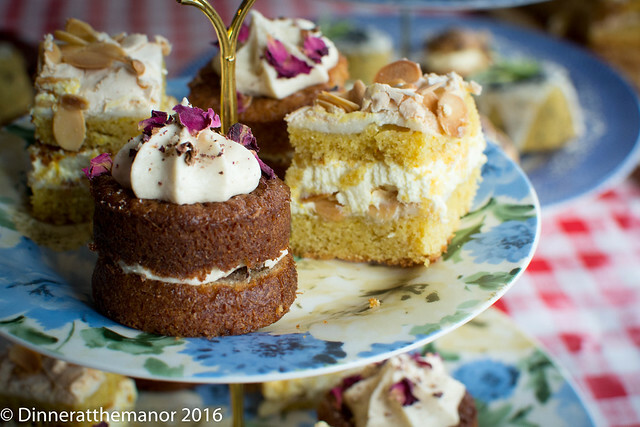 This entry was posted in Menus, Upcoming Events and tagged 2016 Dates, Afternoon Tea, baking, Dinner at the Manor, Indian Food, Leeds, Menu, Supper Club, Undeground Tearooms, Underground Dining on September 4, 2016 by Susie Barker. 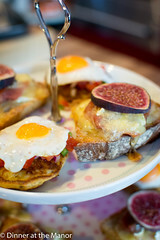 What do you get when two of your favourite drinky / foodie establishments get together? A frikkin amazing lovechild that’s what! Yes, it’s finally here, Bundobust, the much anticipated mash up of Bradford born establishment the Sparrow and Prashad. Craft beer? Tick. Indian street food? Tick. One of our new favourite Leeds drinking holes? Tick! 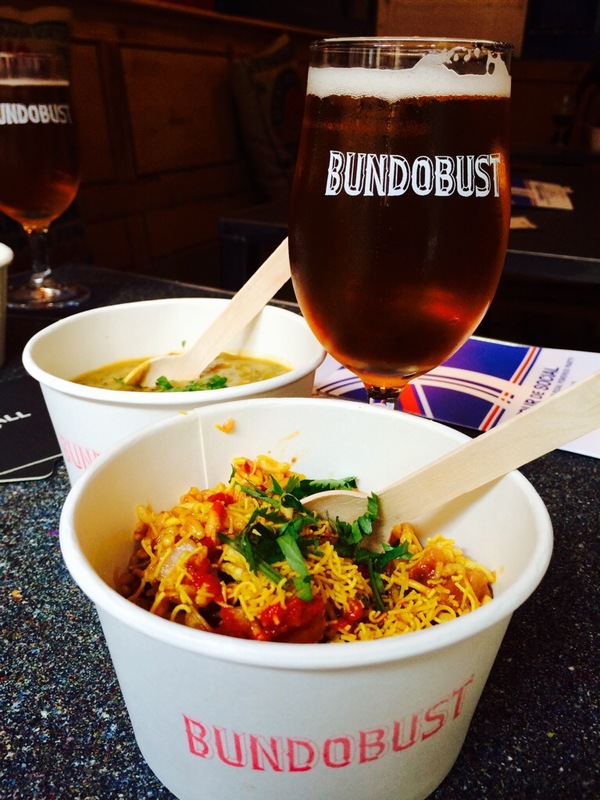 We were invited to a sneaky peek of Bundobust prior to it’s official opening and it didn’t disappoint! With a quirky, eclectic interior – reclaimed doors decorate the walls, stuffed rice bags for cushions and oh so hot right now low slung, exposed cable lighting, we wandered over to the bar to check out the very impressive ale choices. Twelve on tap no less, from brewers such as Northern Monk, Kirkstall, and Magic Rock. Plus, yes, get this, a dedicated Mikkeller tap!! The brewery I fell in love with whilst in Copenhagen can now find it’s place regularly in my belly. Obviously Dan and I chose the Mikkeller Green Gold to start off with and it didn’t disappoint. An American IPA, this smacks you with hops and isn’t sorry about it. My kind of beer! We settled down in anticipation to try the tasty morsels on the menu. First up was the Spice and Rice. A beautifully spiced mung bean daal, warm and comforting served atop steamed rice. Gobbled up in seconds, we turned our attentions to the Behl Puri, a street food snack consisting of puffed rice, and tomatoes spiked with a spicy sour tamarind sauce. Delicious! Our second poison of the evening was Magic Rock’s Cannonball, one my my favourite beers and 7.4% to boot! Always a good thing. 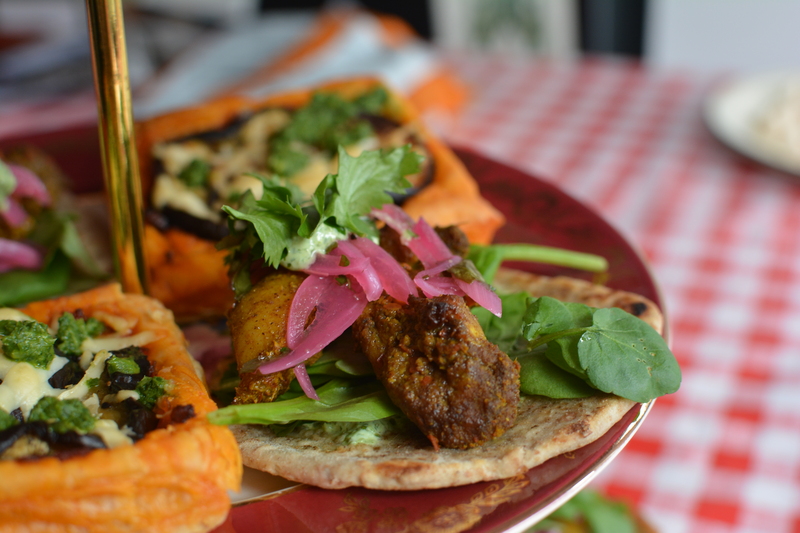 We had a quick chat with Mark, co-owner of Bundosbust, about the food, which will range from about £3 -£6 (I think! ), ordering a few dishes per person tapas style. 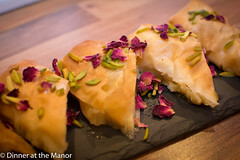 Anyone who has eaten at Prashad before will know that their offerings are delicious (Pethis!? YES PLEASE!) so I cannot wait to go and sample everything!! All in all, this is a great bar. A brilliant selection of beers and beautiful, tasty food. Tasty vegetarian food, which in this zeitgeist of the burger is a wonderful breath of fresh air. 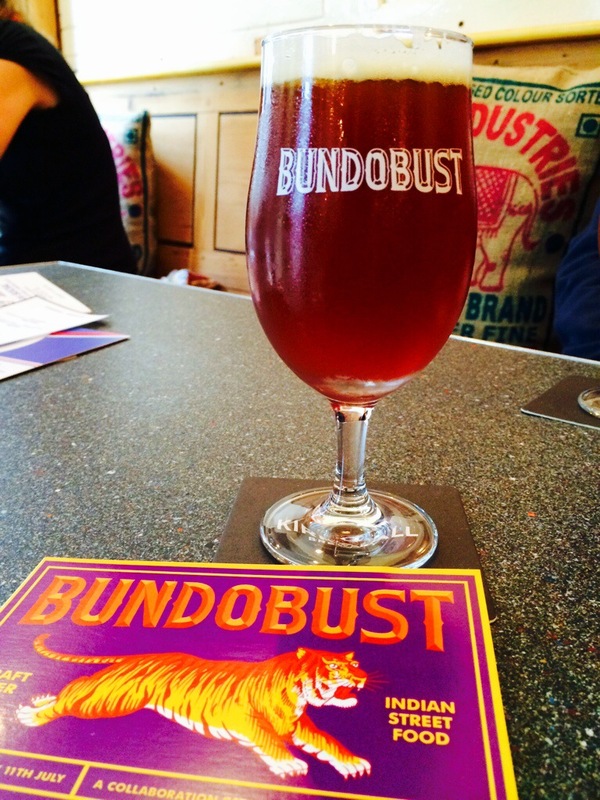 Upon publishing this post, Bundobust will have been open now for about a week. If you haven’t already made it down there already, then you really should, You won’t forget it. Now pass me another Mikkeller!! 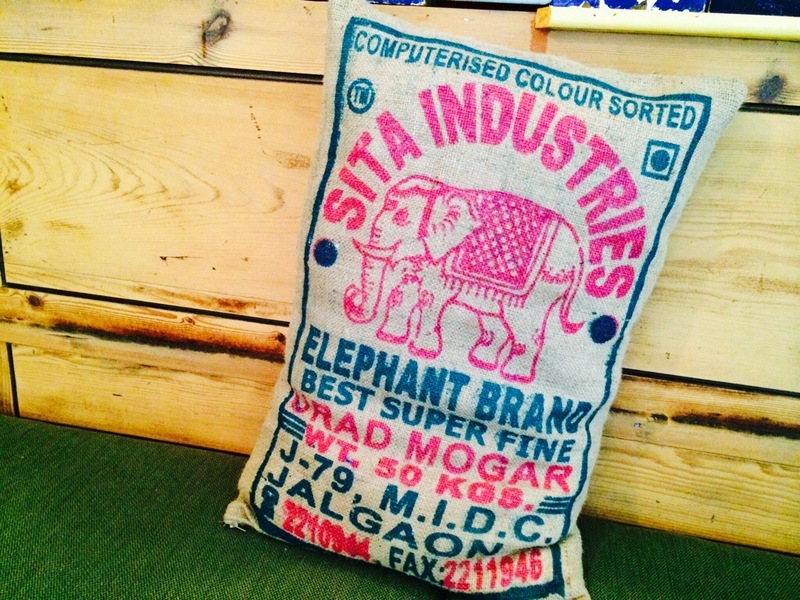 This entry was posted in Reviews and tagged beer, Bundobust, craft ale, food, indian dishes, Indian Food, Leeds, Prashad, Vegetarian, Yorkshire on July 15, 2014 by Susie Barker. 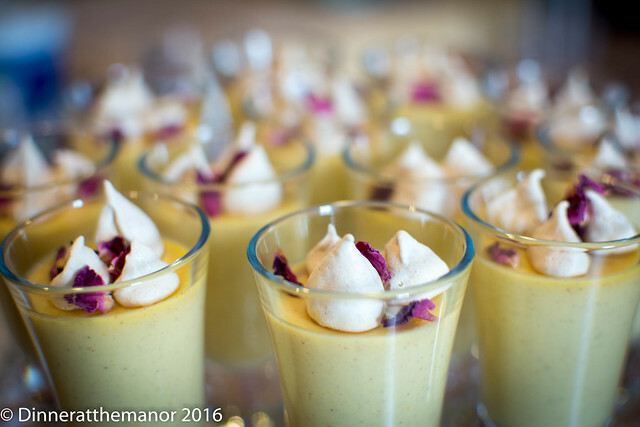 As promised here is the recipe for the chai pannacotta that went down so well at our Indian Odyssey supperclub a few weeks back. Rick’s book is not that great for puds, but we’ll let him off as it’s fab for savoury! 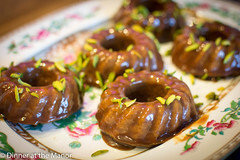 Anyway with a little bit of an experiment and using masala chai as inspiration I soon came up with this little beauty. I had to have a play around with the gelatine to get the right set. I served them in little terracotta pots and I wanted the right level of luscious wobble and not something that was set hard like rubber! 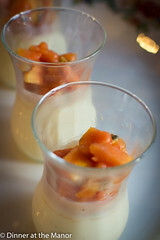 I do love a creamy decadent pannacotta and wouldn’t normally mess around with additional flavours. However I think the ginger and the spices really gave it a comforting, earthy depth. The natural yoghurt seems a minor ingredient but do include it as it creates a subtle sharpness to cut through the naughty sweet cream. Hope you enjoy! In a pan heat your cream to a simmer and then take off the heat. Now add the cinnamon, ginger, cardamom and chai tea bag and leave to infuse for 30 minutes. Now strain the spices out of the cream. Put the cream back into a pan with the sugar and heat through to dissolve the sugar. Now whisk in the milk and yoghurt. Soak the gelatine leaves in cold water for about 5 minutes (I found 1.5 leaves gave a lovely soft and creamy set). Whisk the softened gelatine into the creamy mix. At this stage I strained the whole mixture again to remove any stubborn bits of spice, or lumps of yoghurt and gelatine not fully combined, it means your mix will be lovely, light and creamy. Pour it into your desired dishes/ moulds and chill for a minimum of two hours. 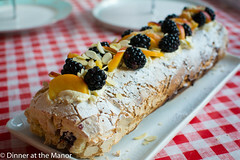 Serve with fresh fruit and shortbread! 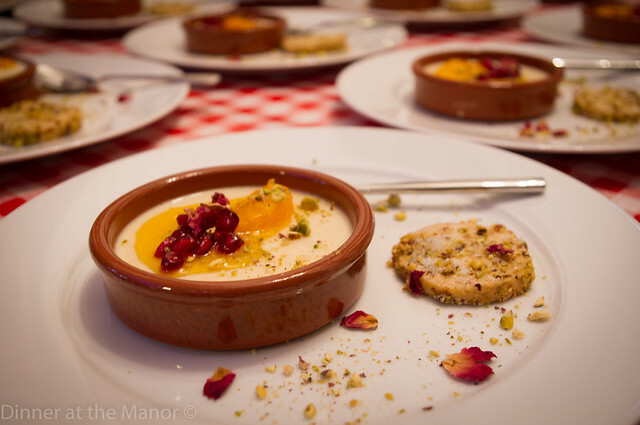 This entry was posted in News, Past Events, Unknown and tagged Desserts, Dinner at the Manor, food, Indian Food, Leeds, Menu, Recipe, Supper Club, Underground Dining, Underground Restaurant, Yorkshire on April 25, 2014 by martinimanleeds. After much practice and grinding of spices our Indian Odyssey supperclub, inspired by Rich Stein’s beautiful book from last year, was finally upon us this weekend. We’re always nervous doing Indian themed events. I’ve no idea why, given that we were doing Peruvian and Lebanese only the other month. I think it’s because there are so many people out there doing Indian food well and because I’ve never been to India, I feel a bit paranoid that we’ll not be authentic. Having said that there are a lot of people out there doing bad Indian food, full of ghee and poor spicing. Anyway we loved having a play around with Rick’s recipes and getting to know true regional Indian food that goes beyond the British take away classics. His recipes have proved to be fresh and exciting, not heavy and greasy. 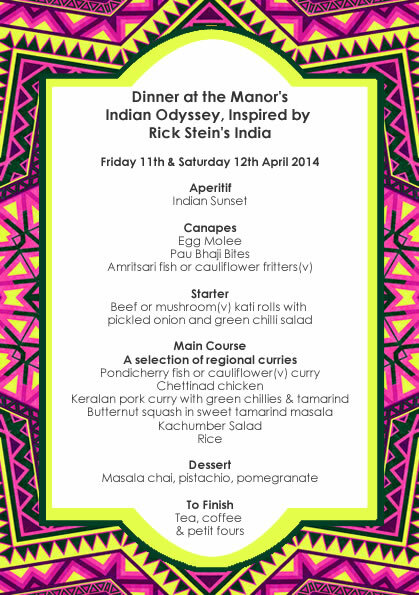 This entry was posted in Past Events, Reviews and tagged 2014 Dates, Dinner at the Manor, food, Indian Food, Leeds, Rick Stein, Supper Club, Underground Dining, Underground Restaurant, Yorkshire on April 16, 2014 by martinimanleeds. Coming up next weekend is our final event before we take our hiatus from events at the Manor! 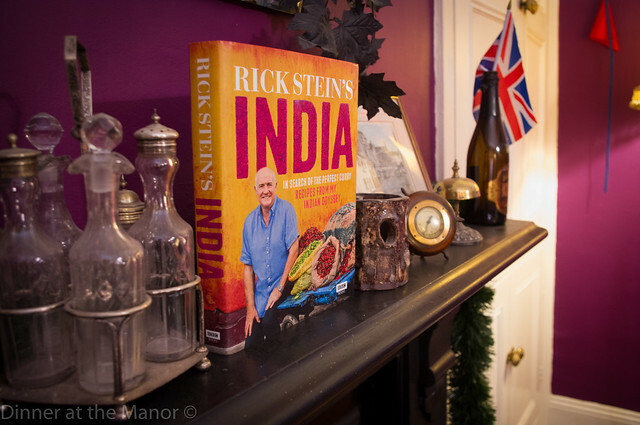 We’ve been engrossed in Rick Stein’s India for the past month and recipe testing non stop to create a menu which we hope will introduce some of our guests to the delights of regional Indian cuisine. We have spice grinders at the ready and can’t wait to serve up this tasty grub! We’d love to know what you think. This entry was posted in Menus and tagged 2014 Dates, Dinner at the Manor, food, Indian Food, Leeds, Menu, Rick Stein, Supper Club, Underground Dining, Underground Restaurant, Yorkshire on April 5, 2014 by Susie Barker. 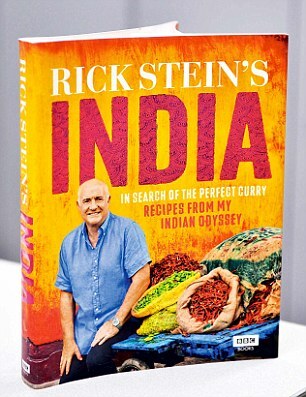 We’re now hosting another Rick Stein’s India event on Friday 11th April. Expect bold flavours and regional delights taken from one of our favourite books of 2013. £30pp gets you 6 courses and complimentary welcome drink. For our booking terms and conditions please click here. This entry was posted in Upcoming Events and tagged 2014 Dates, Dinner at the Manor, food, Indian Food, Leeds, Supper Club, Underground Dining, Underground Restaurant, Yorkshire on February 5, 2014 by Susie Barker.